"From the New York Times bestselling suspense author Jan Burke comes a brand-new e-short story with the added bonus of three short stories from the Eighteen anthology. Apprehended is a mini-anthology containing a brand new short story from Jan Burke: "The Unacknowledged," which features the fan-favorite investigative reporter Irene Kelly, back in her journalism school days. Also included are three short stories from the previously published Eighteen: "Why Tonight," "A Fine Set of Teeth," and "A Man of My Stature."" 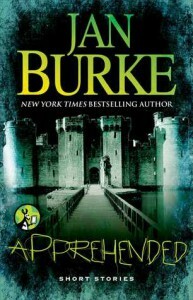 Apprehended was my very first taste of Jan Burke's crime fiction, author of the Irene Kelly Mysteries series. Three out of the four stories deal with crimes that are not just black and white, and therefore they present a moral dilemma. I thought "A Fine Set of Teeth" was the odd one out, with a clear cut crime, but I also found that to be the most engrossing tale in this set. I also enjoyed "A Man of My Stature" with its ironic premise. "Why Tonight" was full of humanity and unavoidable sympathy for the two main characters. The first story, "Unacknowledged" was the least engaging for me. All in all I did enjoy Jan Burke's writing, but I could only rate the whole experience as being "OK" (around the 2.5 stars mark) - there was nothing that made me think "yes, I really did like that!". Maybe the the stories would have had more impact on me had I been more familiar with this author and with Irene Kelly. 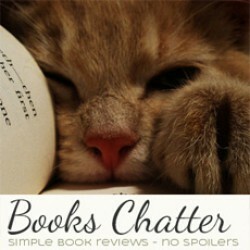 I will certainly put the Irene Kelly's Mysteries on my to read list. As per this offering, I still find it a worthwhile read for anyone who likes light crime fiction that gives you some food for thought.